Father's Day is coming up this weekend! And if you're still not sure on where you should treat him, we're giving you a rundown of some of the best hotel deals in the Metro which would make sure he's treated like the king he's already is! Enjoy a hearty brunch highlighted by roast leg of lamb and cochinillo. Other menu options include beef Wellington, chorizo raila, baked salmon with miso glaze, pork and beef croquettes, and mushroom cigars. Cap off your meal with mocha crunch cake, Paris Brest, honey ice cream, dalandan sorbet, and fresh fruits. Beverages include soda, chilled juices, coffee, and tea. The Father’s Day Brunch Buffet is on June 17, 2018, from 11:30 am to 2:30 pm at ₱2,000 net per person. Place your reservations today! Call (63 2) 317-0999 or email dine@makatidiamond.com. Visit www.makatidiamond.com for the complete details and other hotel offers. Give Dad that extra special gift of relaxation and the chance to unwind. Book the Dad Indulgence Room Package at Php8,500 nett per night for a Deluxe room from June 15 - 17, 2018 and let him sit back and enjoy a well-deserved getaway. There's always something for the man of the house and the whole family to partake of the international cuisine selection at the Corniche restaurant. From June 15 to 17, bring the family together for a Lunch or Dinner buffet brimming with scrumptious favorites and an assortment of delicacies for Php 2,980 nett per person. Aim for Dad's heart through his stomach with an authentic Japanese Family Set Menu for four (4) at Yurakuen Japanese restaurant for only Php7,980 nett. Every dad is treated on Father’s Day to a complimentary DreamPlay ticket when accompanied by at least two DreamPlay ticketholders. An epicurean experience awaits the family at Nobu Manila’s Father’s Day Sunday Buffet Brunch. Nobu’s Sunday Brunch is from 11:30 am to 3 pm at P3,880++ per person for the non-alcohol beverage package and an additional P990++ or P1,990++ per person for the standard alcohol and premium champagne beverage packages, respectively. Kids from six to twelve dine at half price while those five and below dine free of charge. Dads craving for premium Cantonese and regional Chinese cuisine either for lunch or dinner can celebrate Father’s Day with seven-course menus or a la carte items at Crystal Dragon from June 1 to 18. 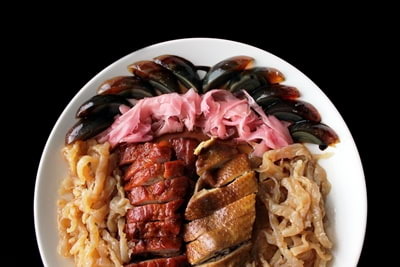 The set menu for a group of 5 to 7 persons is at P2,380.++ per person and served with Chinese Oolong Tea. For bigger groups of 8 to 10 persons, the Set Menu is more lavish at P3,880.++ per person. 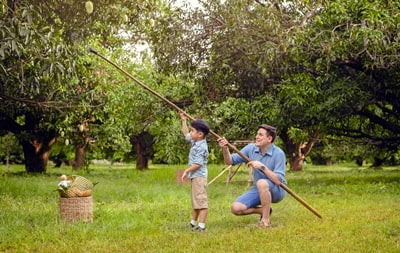 New World Makati Hotel is celebrating the man of the month with a “Just for Dad” package. Starting at PHP6,500, enjoy a stylish room, access for two (2) at our famous breakfast buffet at Café 1228, two (2) drinks at The Lounge or Bar Rouge, PHP500 gift voucher valid at Columbia Sportswear or Mountain Hardwear, and 10% discount on merchandise at Harley-Davidson of Manila! Available all weekends of June. On 17 June 2018, feast on Café 1228’s Sunday brunch buffet, with highlights such as slabs of tender Spare ribs, Honey-glazed Hawaiian ham, crispy Native lechon, and decadent desserts for PHP2,650. You can also take Dad to the award-winning Jasmine restaurant to indulge in unlimited dim sum at PHP1,388, inclusive of choice of main course, soup, rice dish, and a pot of Jasmine tea; or try the special set menus carefully prepared by Chinese Executive Chef Wong Kam On. Price starts at PHP11,888 for six persons. Let dad indulge in a wide array of mouthwatering grilled specialties paired with his favorite ice-cold beer at the Sunset Bar from June 15 to 1, 6:30 to 10:30PM. Rate is set at Php2,540 nett per person with a selection of free-flowing beer, wines and cocktails. Le Bar presents a mouthwatering culinary special for dad featuring premium cuts of rib eye, tenderloin and sirloin paired with his choice of sauce and sides. Rate is set at Php2,500 nett per platter with a glass of red wine. The promo is available for lunch and dinner on June 17. Spoil the Man of the House to a memorable celebration featuring dishes inspired by the fathers of Spiral’s master chefs from June 15 - 17, 2018. All guests dining at Spiral on June 17, 2018 for brunch have a chance to win exciting prizes from American Tourister, Savile Row, Jack Nicklaus, Champion, Peter Thomas Roth and Levi's. Treat the man of the house with an exciting dining offer that the whole family can enjoy this Father’s Day. Inagiku offers authentic Japanese fare with their Father’s Day Utage lunch buffet featuring an array of sushi, teppanyaki grilled meats, sukiyaki and other Japanese specialties for PHP 2,950 net per person. offer is valid on June 17, 2018 only. For dads who prefer to have an authentic Chinese lunch feast, the family can indulge in Premium Dim Sum Plus, which includes unlimited Dim Sum, appetizers, soup, rice, noodles and desserts, all for PHP 2,070 net per person. Offer is valid on 17 June 2018 only. Circles Event Café offers a Father’s Day lunch and dinner buffet with an abundant feast of Western and Asian dishes for PHP 2,500 nett per person. Offer is valid on June 17, 2018 only. 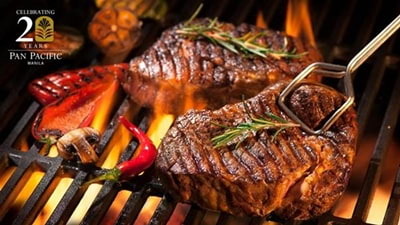 Indulge in Sage Bespoke Grill’s Father’s Day Brunch Buffet featuring big steak proportions, barbecued to perfection for PHP 2,000 net per person. Offer is valid on June 17, 2018 only. Escape to a tropical sanctuary with the family without leaving the city and spend an intimate weekend retreat at your urban oasis this whole month of June. 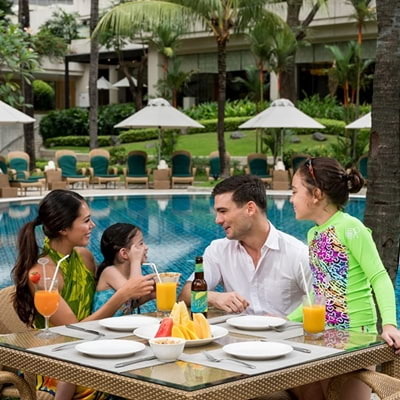 Offer includes daily buffet breakfast at HEAT for two adults and two kids, complimentary use of swimming pool, access to world class Health Club. Rates start at P7200. Offer is available from June 1 to June 30. Chill out, have your favorite food and refreshments while you listen to celebrated pianist, Francis Dela Paz, with dad at Oasis. Offer is available from 5:15PM to 8:30PM. Let Dad feast on the finest flavors this Father’s Day.Treat dad like a king with an indulgent meal this Father’s Day at Red Lantern. Choose from delicious ala carte options, Dim Sum Buffet for lunch (Php1,588+ per person) or special Father’s Day set menus for lunch (Php1,888+ per person, min 2-4 pax) or dinner (Php2,888+ per person, min 6-10 pax) while dad gets a free mocktail. Feast on Roast Loin of Pork with Apple Sauce and Roast Angus Beef with Horseradish Sauce, available at the Carvery Station. Executive Chef Alisdair Bletcher also features signature dishes such as Medallions of Beef with Onion Gratin and Onion Jus, and Sumac Rubbed Chicken on Roasted Vegetables with Lemon Coriander Dressing. As a special treat for the man of the house, dads dine for free for every two paying guests, on 15 to 17 June. On Father’s Day, June 16, 2018, treat Dad and the entire family at Pan Pacific Manila. Good food, as the saying goes, is the key to a man’s heart. With that in mind, our team of culinary experts at Pacific Lounge has come up with a special Grill and Barbeque Dinner Buffet on June 16, 2018 starting at 6:00 pm featuring unlimited serving of aromatic succulent meat best complimented with choice local beer, chilled juices and impeccable service. Dinner Buffet is at Php 1,400 net per person. For a truly leisurely celebration, book a room or a suite for the weekend. Take advantage of the hotel’s Daddy’s Day Out Room Package until June 30, 2018. An overnight stay in a Superior Room starts at P7,000 net inclusive of buffet breakfast, welcome drink upon arrival, complimentary Internet access, complimentary local calls, use of swimming pool and fitness centre facilities, and Sunset Lounge & Bar “Street Grill Combo” paired with 5 bottles of local beer. 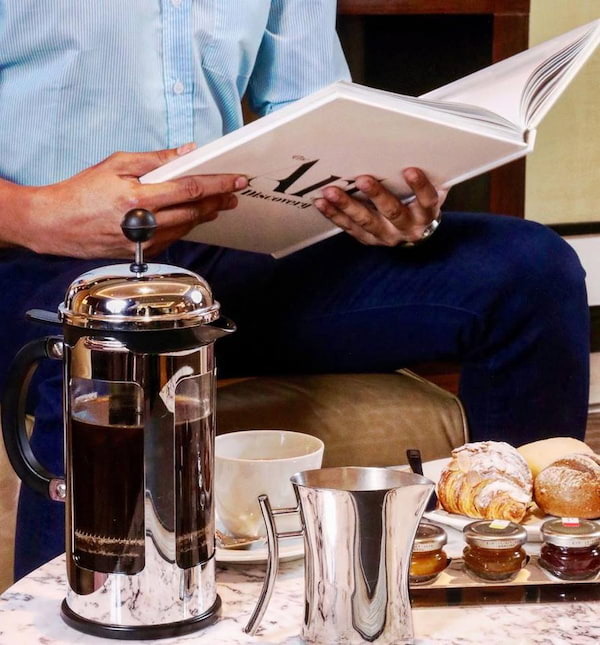 Dads and their families staying at The Peninsula Manila during Father’s Day week – June 11 to 17, 2018 – can start their day from the comfort of their luxurious guestroom before heading down to Escolta for a hearty breakfast buffet for two adults and two children. Also included in the package is a complimentary sampling of a Berry Bros. and Rudd Whiskey flight at The Bar once per stay. Those staying on June 16 and 17, 2018 can also enjoy access to the four-hours-only, pop-up Dad’s Pen Ultimate Dream Lounge on June 17 from 1;00 pm – 5:00 pm. This one-night stay package starts at P8,500 for a Superior Room inclusive of service charge and all applicable taxes. Offer valid only until June 17, 2018. Dads dining in Escolta on Father’s Day will enjoy access to the four-hours-only, pop-up Dad’s Pen Ultimate Dream Lounge on June 17 from 1;00 pm – 5:00 pm. 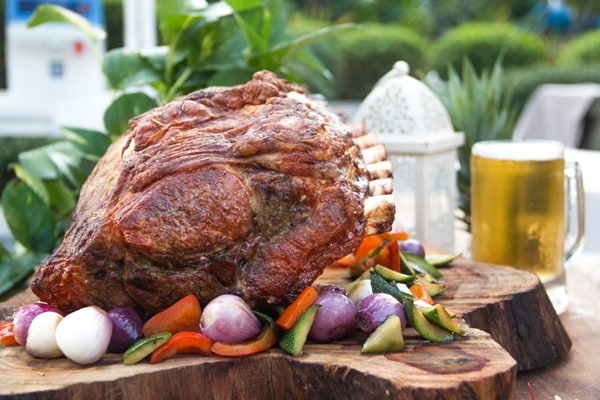 Rates for the Father's Day Barbecue Brunch Buffet starts at P3400 for adults and P1700 for children under 12; P3900, inclusive of free-flowing sparkling wines and local beers; P4400, inclusive of free-flowing Champagne.